Student loan servicers are getting an excellent reason to comply with the SCRA and best practices – the alternative may be extinction. Student loan servicers like Navient Corp and former owner Sallie Mae have been on progressive politicians' minds a lot recently for their questionable practices. In fact, Education Secretary Arne Duncan ordered a "thorough review" of four such servicers in May, according to The Huffington Post. This investigation came in response to allegations that they may have been cheating active military status debtors out of millions of dollars by overcharging them on their federal student loans. The Servicemembers Civil Relief Act is an important law that protects the civil interests of those with active military status. One of the provisions of this law is a cap on the interest rate that members of the uniformed services can be charged on many kinds of debt, including student loans. This maximum rate is 6 percent. According to the Consumer Finance Protection Bureau, however, many servicemembers have complained that they were deterred or not allowed to invoke their right to a lower rate when they called their loan servicers. 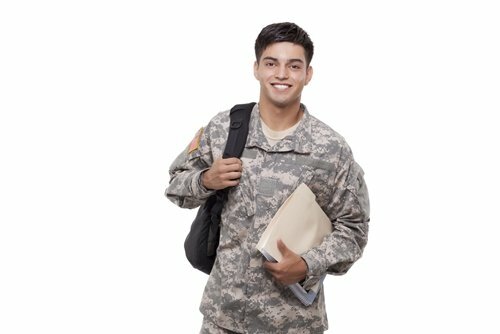 The resulting Justice Department investigation charged Sallie Mae and Navient Corp with cheating 60,000 troops out of a combined $60 million over the course of several years, according to The Huffington Post. The companies were allowed to settle the lawsuit without admitting to wrongdoing. The results of this investigation led to the aforementioned one by Education Secretary Duncan into Nelnet, Inc., Great Lakes Higher Education Corp., & Affiliates, The Pennsylvania Higher Education Assistance Agency and Navient Corp. The results of the latter investigation were surprising. The news source reported that the Education Department's Federal Student Aid office found few examples of wrongdoing. While some have used this to argue that the student loan servicers have been acting ethically, opponents noted several issues with the way the investigation proceeded. Just a few members of the FSA compliance staff were assigned to read through dozens of borrower files at each servicer. Further, the investigators only looked for a particular kind of wrongdoing, according to The Huffington Post. Only in cases in which an active military status servicemember's file contained a request for the lower rate in writing was a failure to provide the lower rate considered wrongdoing. No attempt was made to look into whether servicemembers had been denied the lower rate after having requested it by phone, as in some of the complaints that initiated the investigation. In response to these and other concerns about fairness and cost-effectiveness, the U.S. government has announced that it will begin a pilot program next week that will collect delinquent student loans directly through the Treasury Department, The Wall Street Journal reported. The program is intended to explore whether the government should halt the use of private debt-collection altogether. "Federal student loan debt collectors need to be encouraged to remove loan accounts from default when possible, as well as deal fairly with borrowers," said Deputy Treasury Secretary Sarah Raskin, according to the Journal. "The incentive structures in debt collector contracts should convey these priorities." A separate article by The Huffington Post commented on a similar trial, albeit reversed, by the Internal Revenue Service. Between 2006 and 2009, the IRS ran a trial in which it outsourced the collection of delinquent taxes. After three years, the IRS concluded that government employees recovered more money with fewer complaints about misbehavior and at less cost to taxpayers. If student loan servicers want to stay in business, it is essential that they make the case for their continued existence. Part of this will be a focus on compliance with the Servicemembers Civil Relief Act.